Nick Woolery has literally wanted to be a City Manager since he was a kid. His list of accomplishments at the City of Baytown is replete with value added innovative leadership. Most recently he and Jamie Eustace have spearheaded efforts to improve the city’s efficiency by leading employees across the organization through Process Improvement & People Empowerment (PIPE) training. To date, over 50 employees have completed black belt level training which includes implementation of a variety of projects, programs, and process improvements that have increased and improved stewardship of the community’s resources. Nick’s passion about educating the community on how local government improves lives is evident in the Imagine Baytown Community Scorecard. This interactive dashboard gives real time status updates on projects and priorities identified by the Special Planning Advisory Committee. When he is not improving the community in his day job, Nick is working in leadership roles with the United Way and the Rotary Club of Baytown. Nick is a member of the Baytown Sun’s inaugural 20 Under 40 group and has contributed to several articles regarding City projects and other community causes. Nick Woolery is AMAZING. He is everything government employees should be. He truly knows the WHY behind the why he comes to work for our City every day. He wants to make an impact… and he is doing just that. He co-founded our City’s PIPE Academy (Process Improvement and People Empowerment), where he teaches LEAN techniques and change management. He leads the City’s Public Art Committee, leads our citizen engagement efforts, is President of the Rotary Club AND is on the board of the Diabetes Foundation. Service defines every thing that Nick does. He makes us want to be better! Nick has made a profound impact of the Public Works Department. With leadership and comment to innovation. Nick Woolery makes me want to be better… a better person, a better servant, a better leader, and a better employee of the City of Baytown. He is too modest to even realize the profound impact he is making. Nick is a young, progressive, strategic leader who strives to be more efficient and effective every day he walks in the doors of City Hall. He is # 1 !!! Sam has also been a great teacher on using data in a smaller population winter city, that has benefited Anchorage. Innovation is hard, messy work. Determining the true problems facing cities and finding solutions that make a difference require patience and unwavering perseverance. These 10 know what it takes to make progress and create better cities for all. Shannah has changed the face of how the city communicates and interacts with residents. She truly leads the charge to connect individuals to the City of Plano in tangible and meaningful ways, and to position the City of Plano as the preferred place to live, work and play in the DFW area. She is always striving to educate and engage residents so they can tell our story and be the trusted resource in the community. She credits her amazing team of communicators for working collectively to ensure information sharing occurs. She also leads the TEDxPlano series – which is an accomplishment on its own. She’s been a part of so many awards won by the Communications & Community Outreach Department including one for the It’s a Little Plano in Here campaign – all because of a quick response to a reality star trying to bash Plano. Shannah definitely deserves to be recognized and I know she’d share it with her staff. 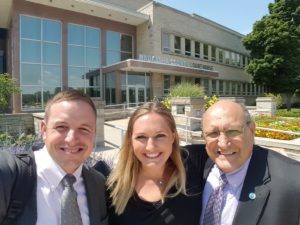 Josh Schoemann’s experience in working closely with government officials from all surrounding areas has not only increased his personal talents, but has positively enhanced local government as a whole. From his collaborative efforts, to his internal initiatives, Josh has brought Washington County into a new era of prosperity. From cutting debt, lowering operating costs, eliminating needless bureaucracy, and openly working with other counties, he has proved his dedication to the people of this county and the people of Wisconsin as a whole. Josh continues to do amazing things innovating ways to save his county residents money. From finding efficiencies internally, to his creative approach to merging services with other counties without any drop in the quality of those services is a model for any city/county to follow. He’s a veteran who knows how to lead from the front and equally as impressive as his ability to save taxpayer dollars is his ability to get the best from his employees while earning their complete respect along the way. Chris is a superstar in California! 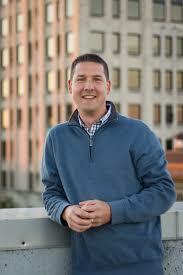 He is committed to raising up other professionals and organizational leaders. He is one of the hardest workers that I know, an excellent problem solver and incredible leader. He is supportive of employees and encourages them to think outside the box to find unique solutions. Chris gets things done even in high stress, high pressure situations. Chris is one of those people who can get things done and who you want on your team. Cheriene is hustling to move Miami forward quickly. She’s smartly connecting and borrowing from other cities who have gotten to where Miami wants to head. Miami’s Innovation Academy (based on the Peak Academy) is the perfect opportunity to engage city leaders from all departments and levels. She is helping build a solid infrastructure that is sure to lead to better ways of doing things for the Miami community. In future years, cities will be borrowing the model that Miami is perfecting. Andrew Hening is working on behalf of the homeless every day. He’s committed to making a real difference in the city and region. His work was recognized with the top spot on the Traeger List in 2017. Since then, Andrew has doubled-down on the city’s efforts. The City of San Rafael is helping to lead the charge to end chronic homelessness in Marin County alongside government and community partners. Beginning in 2016, the City of San Rafael joined forces with the County of Marin and our local service providers to transform the local system of care for people experiencing homelessness. Over the first 18 months of our new collaboration, they housed 23 of the most vulnerable, most difficult-to-serve chronically homeless individuals in our community. “Coordinated Entry” became countywide policy on October 1, 2017, and during its first year of operation they housed 70 chronically homeless people. 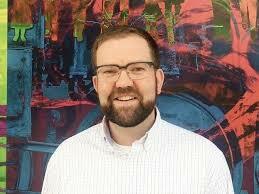 Chad is a force for city government and communications professionals. 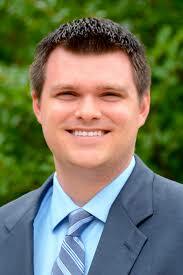 He’s a frequent contributor to ELGL, is on the board of 3CMA, and earned his CPC from TCU last year. Did I mention he’s a one-man shop keeping the City of Appleton informed? Oh… and he started his own communications consulting firm last year? And he’s done all that while continuing to be a devoted husband and father… who just ran his first marathon. Chad is a government communications professional who inspires and supports his peers while elevating the profile of his community; I’m proud to call him both colleague and friend. I think that’s someone who deserves a top 10 spot. These are the communicators on the list, the ones that (other than the top executive) have to tie everything together. They have to be able to build bridges between operational silos to tell the public a more accurate story. They have to provide straight forward and blunt feedback within the government based on what the public is asking, but then also help provide solutions. They have to effortlessly go from the board room to the construction site to a public presentation without blinking or sweating. The Fox Valley where Appleton is located is directly north of our community. Since Chad has taken over as Appleton’s PIO, they have become a leading voice in the State of Wisconsin on citizen engagement. Their Citizen’s Academy could be a model for any community looking to undertake such endeavors. Josh who is who I want to be. He is doing cutting edge work with the Durham i-Team. The team’s work in making an immediate and meaningful impact on the community. It’s amazing the number of projects and collaborations being worked on in Durham. On top of it all, Josh is nice and generous person. He’s willing to share his experience and expertise, but also quick to acknowledge when he doesn’t have the answer. Laura is one of the most passionate women in local government that I have met. Not only does she bring this passion to her daily job duties (often going beyond her described role), but she is one of the largest promoters of local government as a career. Laura is one of the most inclusive people in local government today, often bringing people together both in person and virtually. 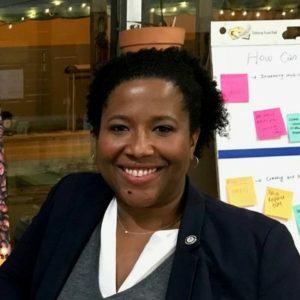 She has gone beyond the call of duty as an integral piece to the success of the Veteran’s Local Government Management Fellowship, which has enabled support and job placement for veterans around the United States. All this is being done while pursuing a Master’s in Public Administration from CU Denver and raising a family. If you look up Big Local Gov Baller in the Dictionary, you will see a photo of this exceptional woman. Laura is the face of the Pueblo West Metro District. She is in the community working with residents, especially now as the search for a new city manager is going on. She’s holding down the fort at the office! 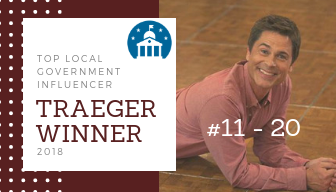 She is constantly scanning for partnership opportunities and partnered with my local government agency (Pueblo City-County Library District) on a massive social media campaign to raise awareness about the public library via the ELGL Knope Award, which she helped us win! She is now also serving on our Friends of the Library Board of Directors. 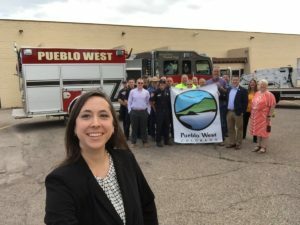 This is just one example of how she impacts the community and also promotes ELGL, but there are many more examples. Thank you for your consideration!